The end of another busy week. 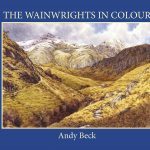 Much of my time has been taken up with the promotion and distribution of The Wainwrights in Colour Book. Sales are going rather well, both from online orders but also through bookshops that have recently stocked the book. Even this week I have been able to add four new stockists in Denby Dale, Lancaster, Glenridding and Pooley Bridge. J R Nicholls in Denby Dale. Even though this means that I have been out on the road quite a bit it does mean that I have established a personal contact with all the retailers. 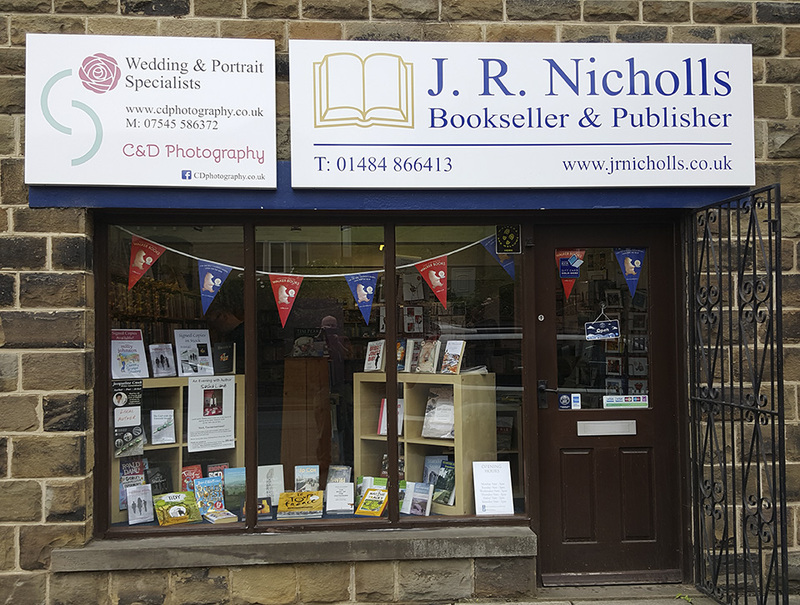 Richard, the owner of J R Nicholls Books. 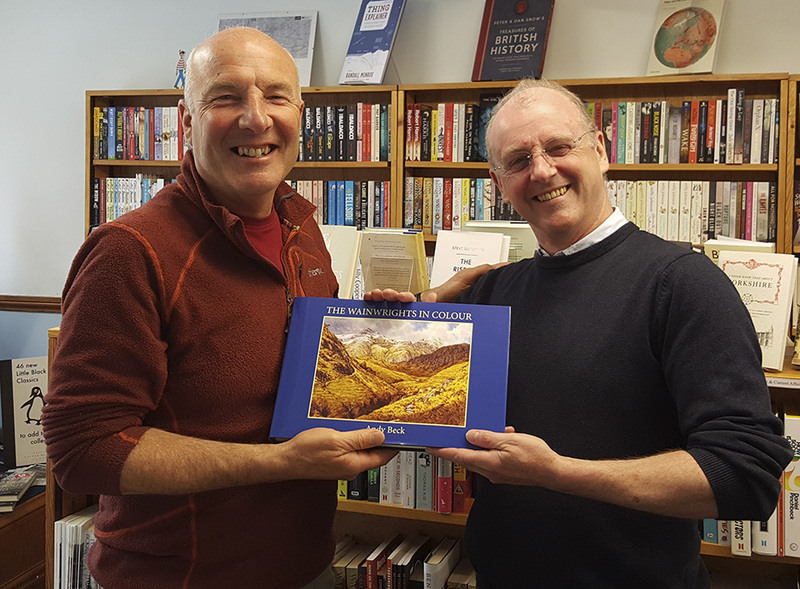 Wherever possible I have been supplying these independent bookshops as it means that not only are they selling the books for me but also by avoiding selling through large online stores such as A****n it encourages folk to shop locally, even if they end up buying someone else’s book. 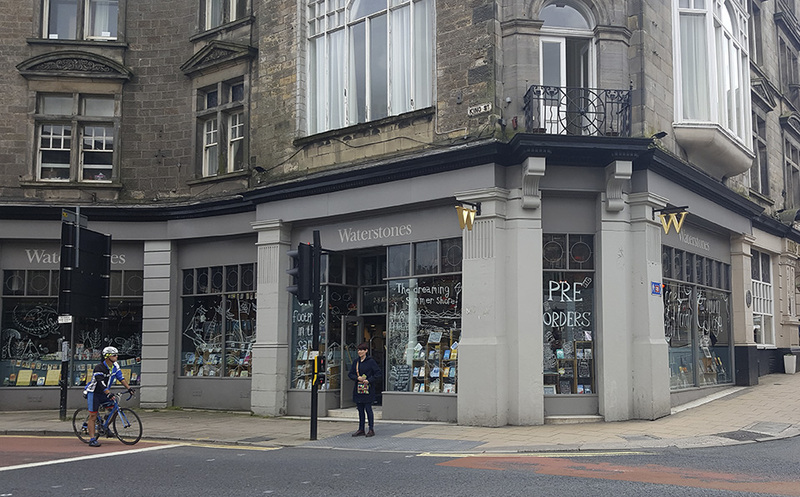 However there has been one or two cases where I have had to bite the bullet and supply larger shops such as Waterstones in Kendal and Lancaster as there is no longer the smaller bookshops in these larger towns. If you know of a bookshop locally to you that may like to stock my books then either let me know or better still, tell them of my book and ask them to check out this website and ask them get in contact with me. Also this week was another of my talks on the project, this tie it was right on my doorstep at The Witham in Barnard Castle, not only a great venue but also a pleasure to speak to those who knew me locally, thank you all for coming along. Currently I am putting together a programme of other venues where I will be giving the presentation, no two talks are the same as I “tweak” them to the locality. 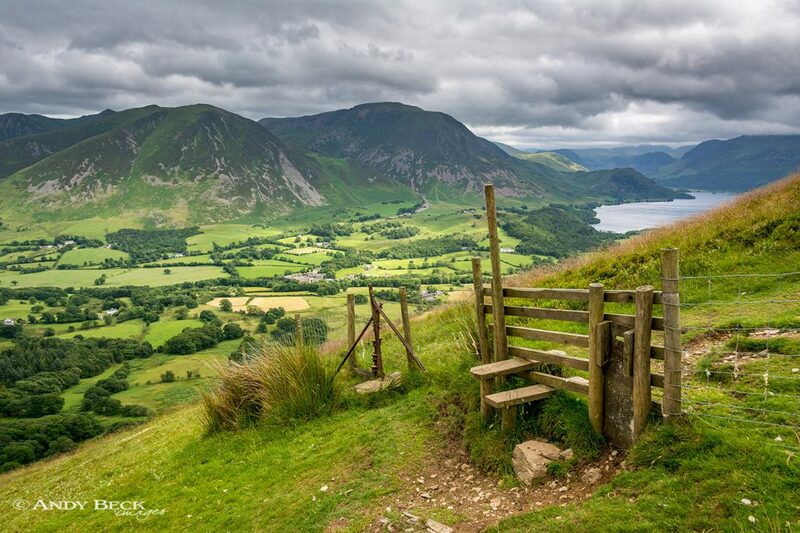 Many of these future talks will be held to raise funds for local Mountain Rescue Teams around the Lake District and will be in more intimate surroundings than some previous talks. Do keep an eye on the events page here or on my Facebook Page for further details. Love your complete dedication to every single aspect of your amazing 10 year project. Can’t wait to come see another of your fascinating talks which are truly informative, full of captivating interest and of course your cheeky humour too.